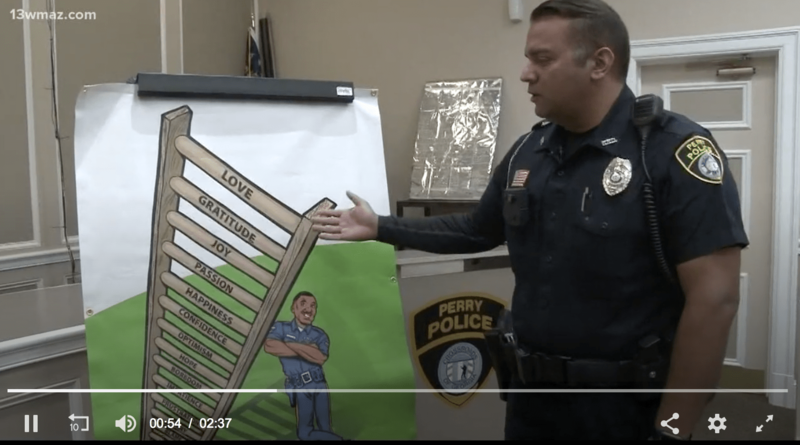 The Perry Police Department is using a new training system its chief learned in Florida to try and emphasize improving officers’ emotional states while on the job. RITE stands for “Racial Intelligence Training and Engagement,” and those in the Perry police department say it’s one of the few programs they’ve ever experience that focuses on the officer as a person. After 40 years in law enforcement, Chief Steve Lynn is the word on a program he says helps police officers on an individual level. 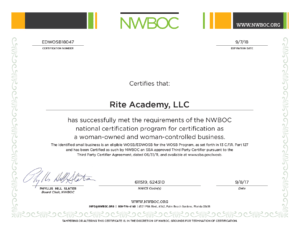 “What I was impressed with is that it’s fairly straight forward, it focuses on learning who you are and where you’re at in any particular point in time,” Lynn said about the RITE program. Officer Adrian Moss, who teaches the class, showed us how it worked. “One of the first parts about that is going to be your ladder of emotions. If you know where you are, before you begin your shift, you kind of know the outcome you’re going to have for the day,” Moss said while motioning to a diagram of a ladder labeled with various emotions ranging from fear to love. Lynn first learned of the program in Florida in 2016. He brought it to Perry Police in 2017 and Moss has been one of the ones teaching it since. “This is the only class that I can think of right off the top of my head that really focuses on me as an individual not as a police officer,” Moss said as he reflected on nine years in law enforcement. 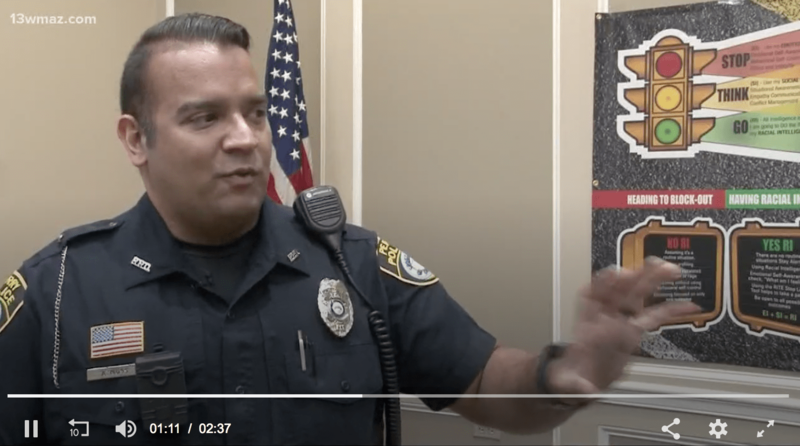 It teaches tools for officers to self-evaluate their mood and focus on positive things as they start their day and go from call to call in stressful situations. Moss says he learned to listen to his favorite heavy metal music between calls in the car to reset or improve his mood. The class uses videos to show how officers on edge can make stressful situations worse. “Dash cameras, cellphone videos, surveillance video footage of officers who may not necessarily live at the bottom of the ladder, but they definitely started their day there and what they hear is they hear that one trigger word that sets them off and it spirals into a catastrophic event that ends up costing them their career,” Moss told 13 WMAZ. The other portion of the class teaches officers about the community they work in and how to react with empathy. Moss says the emotional and community focus is meant to improve officers’ one on one interactions with the public no matter the race or social situation. On the RITE website it says the program, “Empower[s] officers with improved communication on and off the street,” which it later says can help de-escalate situations. You can read more about the program here. Perry Police say the have a good relationship with the people of Perry and this training is not in response to any particular incident, but instead part of an ongoing effort to make sure their day to day interactions with the public remain calm. In recent weeks, they held a training seminar with attendees from the Houston County Sheriff’s Office and Centerville Police.